The one thought that invaded my mind during my entire stay in Miami was: Ahhhh, I love the sun! It's actually funny because as a person who grew up in the caribbean you would think that by now I would be sick of the warm weather but quite the contrary, I can't get enough of it! I long for endless summer nights, hanging out with my cut-off-short-shorts, cropped tops and an ice cold drink in hand. 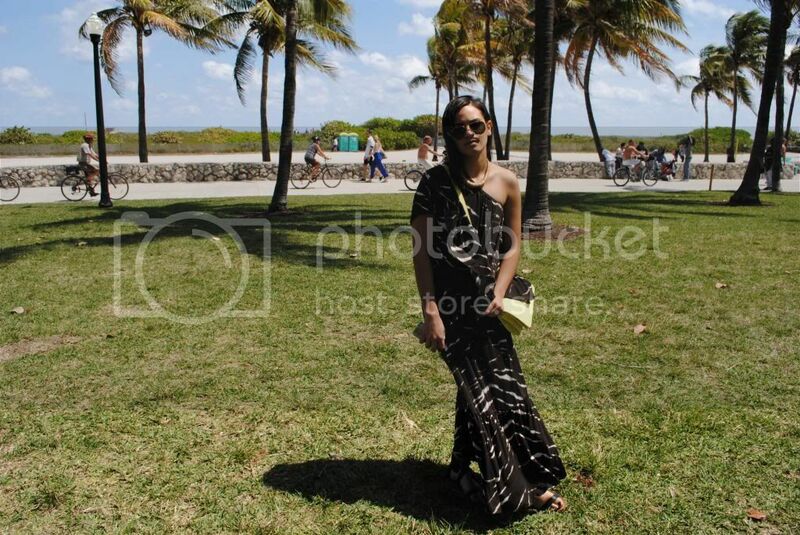 These photos were taken right in the heart of South Beach which is essentially the heart of Miami itself. That afternoon we had brunch at News Cafe and spent the afternoon at the Bal Harbour shops, simply a perfect day in this oh so lively city. The photo diary of my entire trip to Miami will be coming shortly so stay tuned!